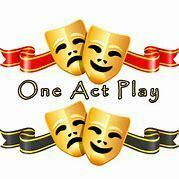 The Chambers One Act play has qualified for State competition on Wednesday, December 5 in Norfolk at the Johnny Carson Theater and will perform at 9:15 am. The Johnny Carson Theater is located at 801 Riverside Blvd, Norfolk. Admission is $7.00 for adults and $5.00 for students in grades K-12. School will remain in session but any student who would like to attend may do so and that absence will be a school excused activity. Students will need to have a parent call the office or send a note to the office before Wednesday, December 5. There will be a team send-off at 1:00 pm in the gym on Tuesday, December 4. Good luck!